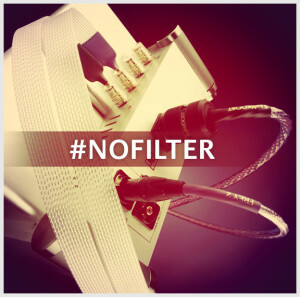 Some cable manufacturers outfit their products with boxes containing filters intended to prevent high frequency oscillation and tailor sound: not Nordost. Although the frequency range of human hearing is 20 to 20,000 Hz, we are still aware of frequencies at far higher and lower extremes. By filtering-out these peripheral signals you are affecting what you hear- impacting the vivid, tonal balance that comes from the true performance. In lieu of altering and coloring sound through filters, Nordost opts for a high-speed, phase-coherent, low-loss approach to cable design, allowing for a perfect reproduction of sound. Nordost is at Rocky Mountain Audio Fest! Have you everdreamed of being in two places at once? Well, Nordost is making the dream a reality! If you can’t make it to Greece, come and join Nordost at Rocky Mountain Audio Fest in Denver, CO October 11-13, where we will be exhibiting in the HumboldtPeak room. RMAF is the perfect venue for Nordost to reveal its latest addition to the Sort System: The Sort Füt. This mechanically tuned resonance control device improves upon the standard spikes and stabilizers that are provided with loudspeakers and racks by eliminating unwanted, residual vibrations. Visitors will also have the benefit of sitting in on live demonstrations and comparisons of Nordost products including our newest reference cable, Valhalla 2. After experiencing the astounding difference that cables really do make, come down to the lobby level where you will be able to purchase a range of Nordost products at a special show discount of 20% off! 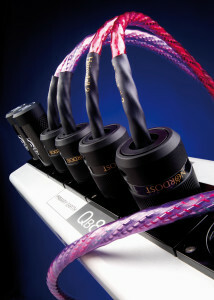 The most important cable in your sound system is the power cord. At the risk of stripping away any magic from your tunes, the music enjoyed from your hi-fi system is little more than AC power, transformed by components to reproduce a melody. The quality of this reproduction is directly determined by the caliber of power cord which is facilitating this transfer of raw electricity to the equipment. By simply upgrading the AC cable in your set up, the audible difference is remarkable. Unlike other cables, a power cord does not transmit a signal: It conducts AC power. The success of this cable is gauged by its capacity to deliver a sturdy, instantaneous current as well as its ability to reduce the effects of electromagnetic interference (EMI) and radio frequencies (RF) coming from outside sources. A poorly constructed AC cord will actually attract EMI and RF, or noise, to your current, affectively polluting the raw material feeding your system and raising the source impedance of the AC supply. An optimally built power cord, on the other hand, is designed to be less prone to, and reduce, any EMI and RF influences resulting in a faster rise time in the 50/60 Hz cycle. For the Nordost solution, see our website to learn more about our power cords ranging from our Leif to Supreme Reference ranges. Nordost at Athens AV Show 2013! Nordost is excited to be participating in the upcoming Athens AV Show 2013! Nordost’s distributor Orpheus Audio based in Athens Greece, will be exhibiting at the Athens AV Show from 11th-13th October in the Athenaeum Intercontinental Hotel. Our International product trainer Rune Skov will be on hand to demonstrate our new Valhalla 2 cables, please come along and enjoy the show! Visit www.avshow.gr to learn more about this event.